LFGA Shooting Sports Facility Day Pass for non-members. 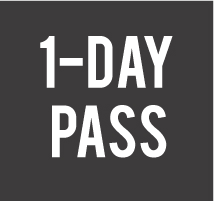 All Day Pass holders are expected to know and follow all range rules. The rules can be found at http://www.lfga.club Note: An LFGA approved Range Officer must supervise Day Pass holders. The LFGA can help arrange for a volunteer Range Officer if given at least 4 days advance notice (more for larger groups or during holidays or hunting season) A Volunteer Range Officer MUST be arranged BEFORE purchasing your Day Pass Please email lfga.community.relations@gmail.com if you would like to request a volunteer Range Officer. Please include your name, the day and time and what you would like to shoot. If there is a volunteer available we will contact you with details on where to meet them (usually the front gate) Please print your receipt as proof of purchase and ensure you have it with you at all times within the Shooting Sports Facility the Day you Shoot.